If you’ve been around videogame Twitter in the last few months, you’ve probably become aware that model Chrissy Teigen is a bit of a nerd. She’s documented her journey with Super Mario Odyssey, and recently delved into Stardew Valley – albeit the latter adventure had mixed results. Now, like many of us, she wants to know what’s happening with Prince of Persia. 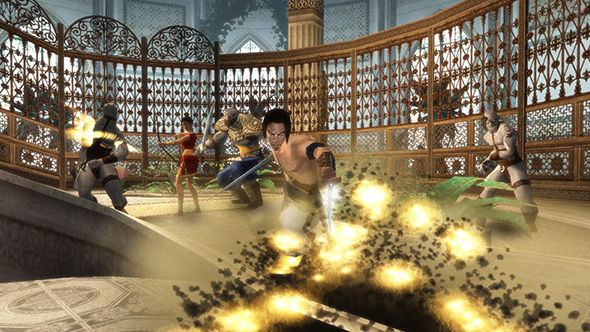 Whichever Prince of Persia game you’re thinking of, yes, it’s old now. Look at the best old games on PC for more grim reminders of your mortality. Apparently, series creator Jordan Mechner wants the Prince back, as well. Mechner created the original Prince of Persia in 1989, and worked with Ubisoft to bring the series back to life with 2003’s The Sands of Time. The franchise got rebooted again in 2008, then reimagined a third time with The Forgotten Sands alongside the 2010 film. The numerous attempts at rebuilding the Prince haven’t done much for the series ultimate fate, though, since it’s remained dormant for most of the past decade. The last Ubisoft franchise we waited for a big-time revival of was Beyond Good & Evil, and we’re still waiting to see how that one turns out. Don’t count the Prince out for good, but it may be a long time before he returns.